Sir Braveheart from Mascots for a Cure thanks everyone for coming and for donating money at the Mascots for A Cure parade at Christmas Village on December 1, 2018. Christmas Village partnered with Mascots for a Cure, a national non-profit of sports and company mascots, in an effort to raise money to fight childhood cancer. Below is a photo gallery from the event. For more information about Mascots for a Cure, please go here. 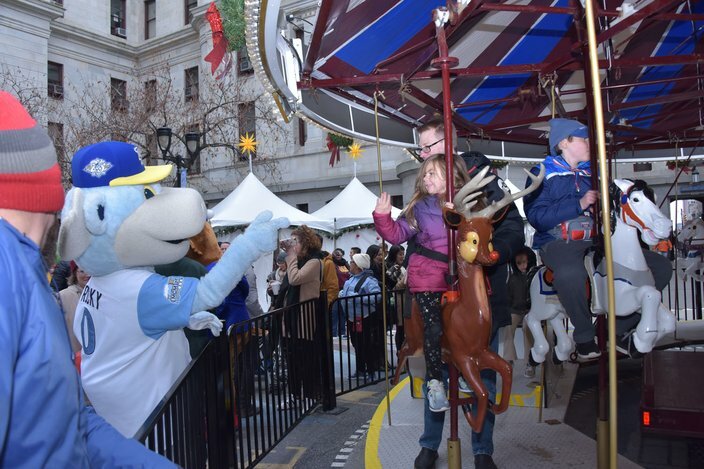 Rocky Bluewinkle of the Wilmington Blue Rocks waves to kids on the carousel at the Mascots for A Cure parade at Christmas Village, Dec. 1, 2018. 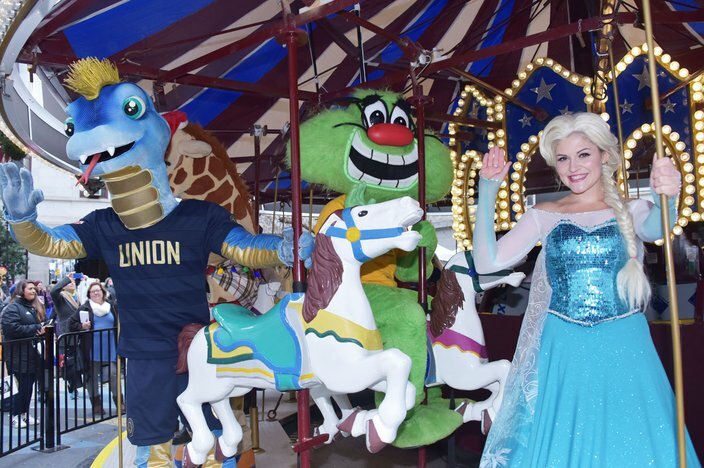 Phang of the Philadelphia Union, Jerdy, the Happy Mascot, and Elsa from Philadelphia Theatre Company's A Dream is a Wish Princess Holiday Concert at the Mascots for A Cure parade at Christmas Village, Dec. 1, 2018. 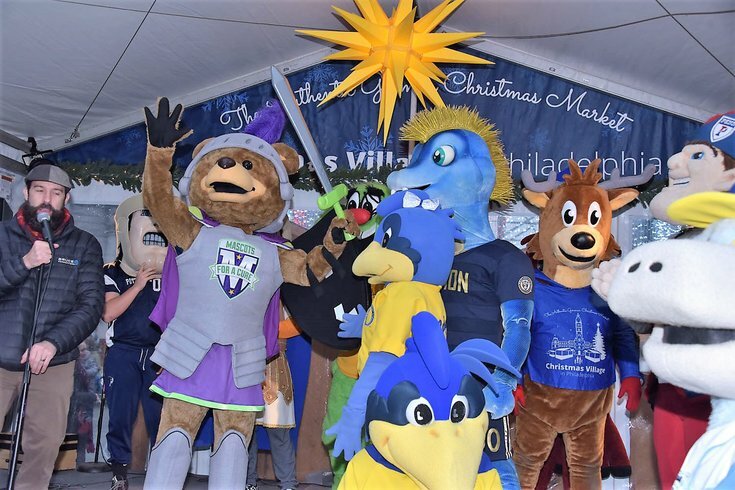 Trojan Man of Pottstown High School and Phang of the Philadelphia Union at the Mascots for A Cure parade at Christmas Village, Dec. 1, 2018. 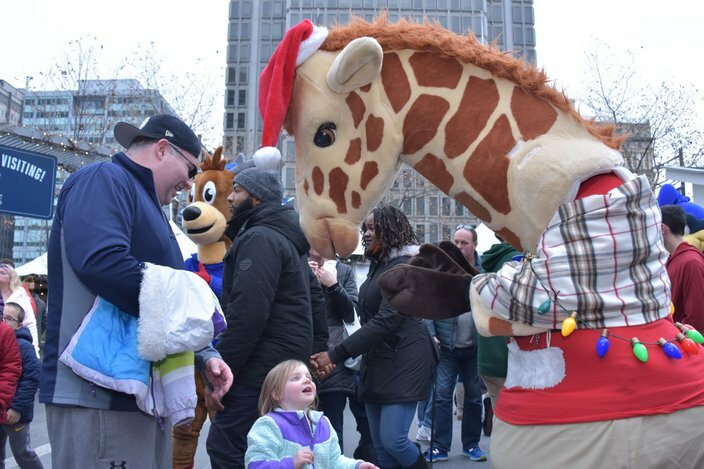 Geoffrey Giraffe at the Mascots for A Cure parade at Christmas Village, Dec. 1, 2018. 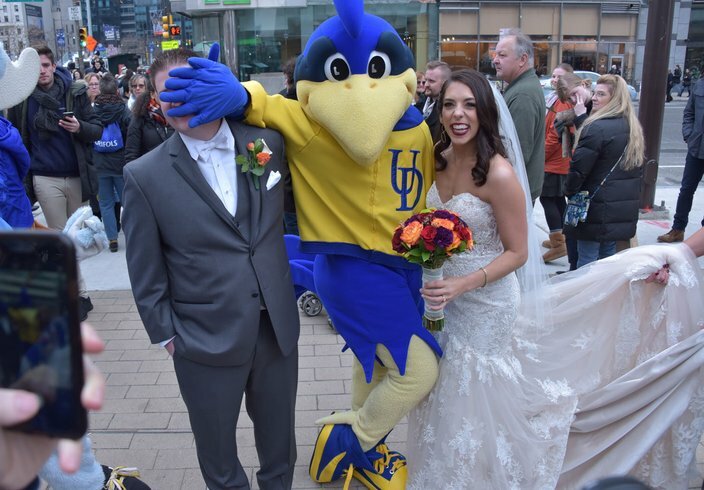 YoUDee of the University of Delaware stops a newly married couple to pose for a photo at the Mascots for A Cure parade at Christmas Village, Dec. 1, 2018. 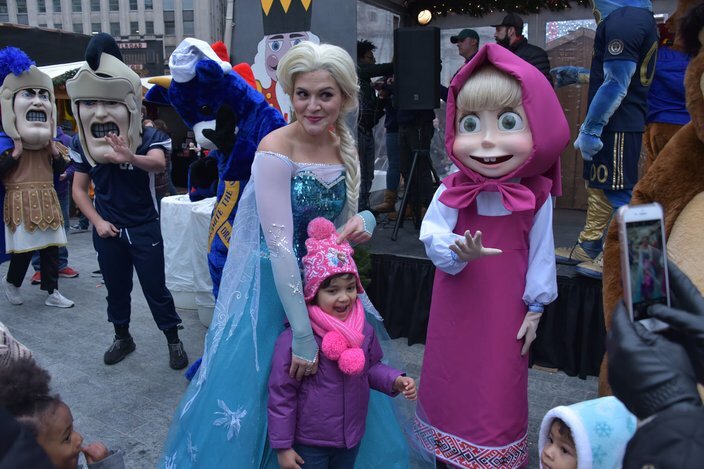 Elsa from Philadelphia Theatre Company's A Dream is a Wish Princess Holiday Concert and Masha from the Masha and The Bear TV show at the Mascots for A Cure parade at Christmas Village, Dec. 1, 2018. 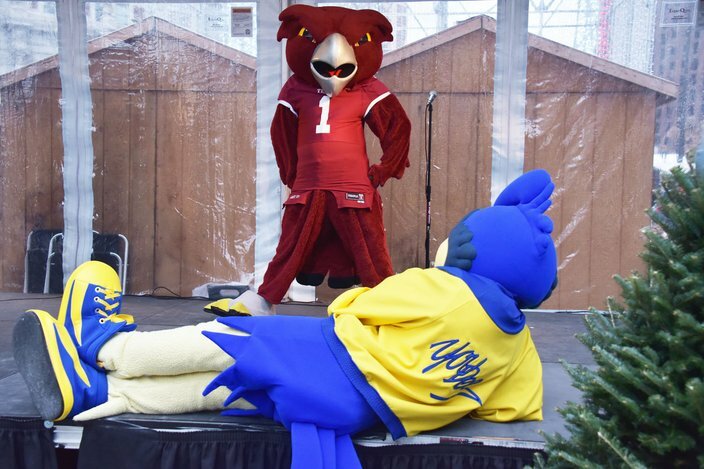 Hooter the Temple Owl participates in the dance off as YoUDee from the University of Delaware looks on at the Mascots for A Cure parade at Christmas Village, Dec. 1, 2018.